The Conservative leader, David Cameron, has said he is delighted with his party's performance in the European elections. The Tories took 29 per cent of the vote, increasing their share from 2004. 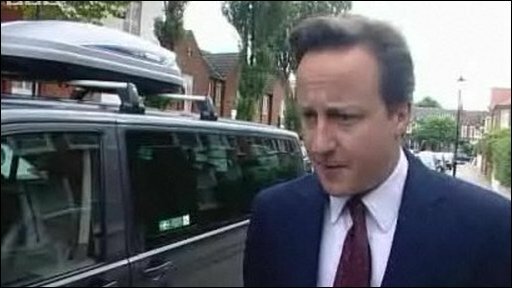 Speaking to reporters outside his home, Mr Cameron said Conservatives were the "clear winners" in the poll.